Get it on Amazon: https://books2read.com/Format Format It Yourself is a Step-by-Step guide, specifically written and illustrated to help authors format their books. Whether you are publishing through CreateSpace, Kindle, or any other outlet, one of the greatest challenges is preparing and typesetting the book. This formatting manual is an in-depth typesetting Master-Class with over 60 Screenshots for guidance. This logical, sequentially presented handbook teaches readers exactly how to typeset according to traditional convention. Speed up your normal workflow, and reduce frustration. The information will lead you to a quicker and smarter way of writing. Would you like to spend less time wrestling with formatting gremlins, and more on penning your next novel? This book doesn’t promise the impossible. It delivers on what can be done by the reader. You cannot typeset your book in sixty minutes, or in an afternoon - if you want to do it properly. Learn all the tips and secrets straight from a professional. Let me walk you through the right way to Format It Yourself! Let’s face it; if you knew how to code a proper e-Book, you wouldn’t need a formatting ‘bible’. Discover how to implement simple tweaks in your electronic book’s HTML code. 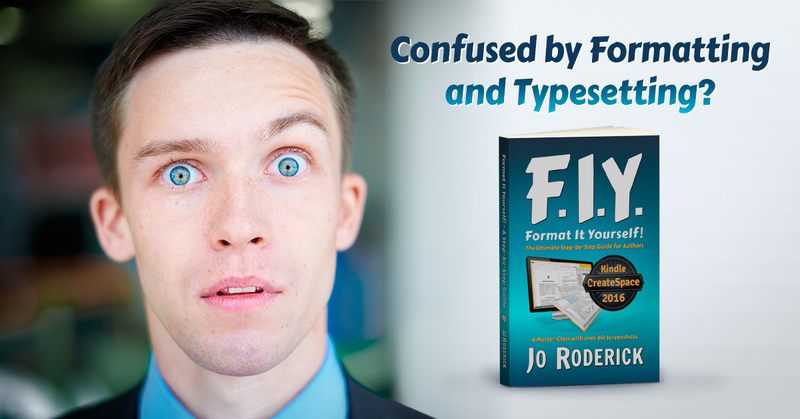 Familiarise yourself with the most common and frustrating formatting errors, and how best to avoid them. I will warn you about which elements will fail to convert properly. I find these same issues with many of my clients’ manuscripts. While Format It Yourself focuses on Microsoft Word, the theory and solutions can be applied to any word processing software. Numerous links to free software and useful websites will assist you in finalising your book. Here are just a few of the topics covered: * The word processing document; * Custom Shortcuts; * Smart Styles and Rogue Orphan Styles; * Widows, Orphans, Columns, and Rivers; * Page Breaks; * Hyphenation; * Table of Content; * The NCX TOC; * Images and Inserts; * Hyperlinks; * Indexes and Footnotes; * Macros; * Automated Chapter Numbering; * Common Punctuation Errors; * Traditional Front and Back Matter; * The Conversion Process; * The ePub and Mobi/Kindle Formats; * Page Setup; * Copyright; * Headers and Footers; * Page Numbering; * Typesetting; * How to Proof your final PDF print format. Other Books by the Author * The Book of Life * Recycled Thoughts (FREE Book) * Six For Seven (A South African Dinner) * The Scandari Saga - Aeonosphere * Publish It Yourself! (Book 1 of Publish It Yourself! The Ultimate Step-by-Step Guide for Authors. A Master-Class with over 60 Screenshots. Read 40% of this Book for FREE NOW. Format It Yourself! 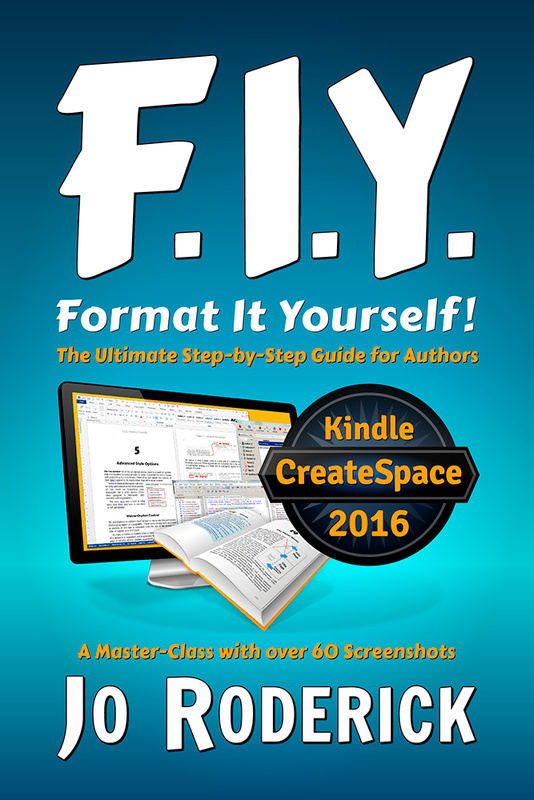 is a Step-by-Step guide, specifically written and illustrated to help authors format their books. Whether you are publishing through CreateSpace, Kindle, or any other outlet, one of the greatest challenges is preparing and typesetting the book. This formatting manual is an in-depth typesetting Master-Class with over 60 Screenshots for guidance. This logical, sequentially presented handbook teaches readers exactly how to typeset according to traditional convention. Speed up your normal workflow, and reduce frustration. The information will lead you to a quicker and smarter way of writing. Would you like to spend less time wrestling with formatting gremlins, and more on penning your next novel? This book doesn’t promise the impossible. It delivers on what can be done by the reader. You cannot typeset your book in sixty minutes, or in an afternoon — if you want to do it properly. Learn all the tips and secrets straight from a professional. 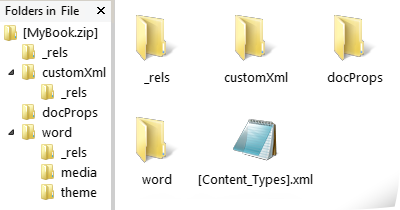 Let me walk you through the right way to Format It Yourself! Let’s face it; if you knew how to code a proper e-Book, you wouldn’t need a formatting ‘bible’. Discover how to implement simple tweaks in your electronic book’s HTML code. Familiarise yourself with the most common and frustrating formatting errors, and how best to avoid them. I will warn you about which elements will fail to convert properly. I find these same issues with many of my clients’ manuscripts. While Format It Yourself! focuses on Microsoft Word, the theory and solutions can be applied to any word processing software. Numerous links to free software and useful websites will assist you in finalising your book. 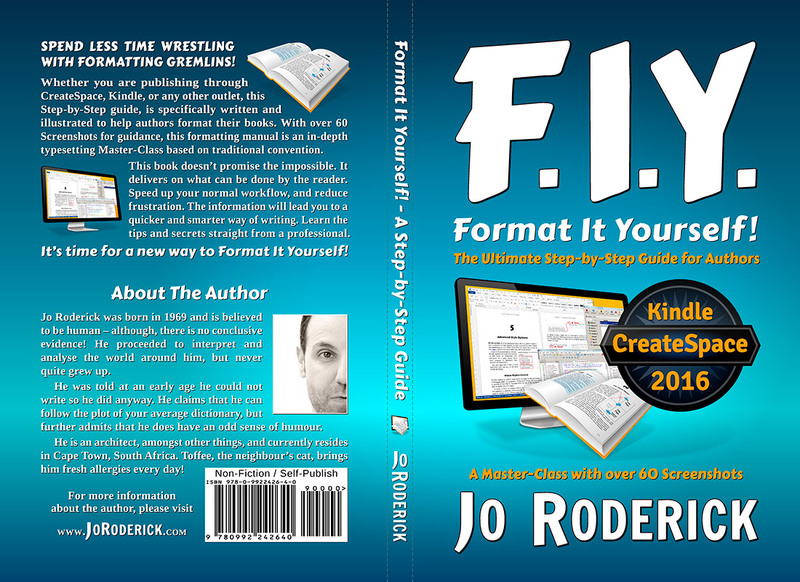 Like most self-published writers, I thought I knew my way around formatting. Word, Calibre, EPub, Mobi. Turns out I was wrong. Even a quarter of the way into this short book I was running through my WIP hunting out rogue styles and eliminating errors I wouldn’t have spotted if FIY hadn’t alerted me to them. By the time I’d finished it I had a new template set up which will mean that everything – contents, chapters, paragraphs, fonts, spacing, line breaks, you name it, everything is in place first time round and will mean I don’t have to spend the usual hour upon hour upon painful hour forcing it into the right place at the last minute. And that’s not even mentioning the tips on conversion, reformatting, and ensuring your book is in the right place for print-on-demand as well as e-book. I can’t recommend this book highly enough. It will take hours to read and save days or even weeks of confusion and annoyance later on. A how-to book couldn’t get any more right! You know, one of the things that I love most about books is just how versatile they are. Yes, they can make you laugh or make you cry, but it’s more than that. Books can be pure entertainment and escapism or they can be there to guide you through life. They can be a reflection of your soul or help you through a spiritual matter. They teach you things, from facts and figures to methods and hows to do things. 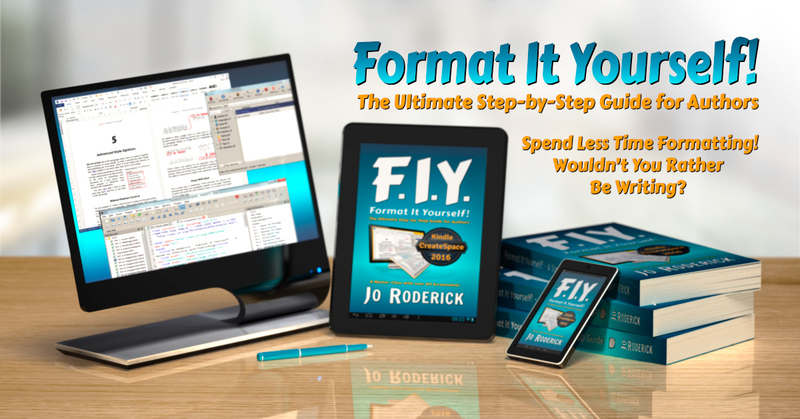 Format It Yourself by Jo Roderick falls exactly into this category – and it does it very, very well. This section contains coloured images for those readers of Format It Yourself! who have either read on a greyscale book reader, or in print. 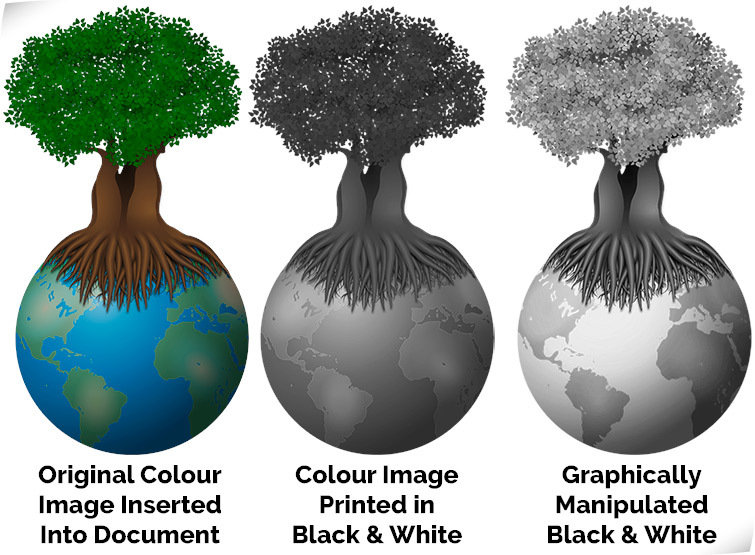 As some images demonstrate various aspects in colour, please refer to these digital screenshots for reference. 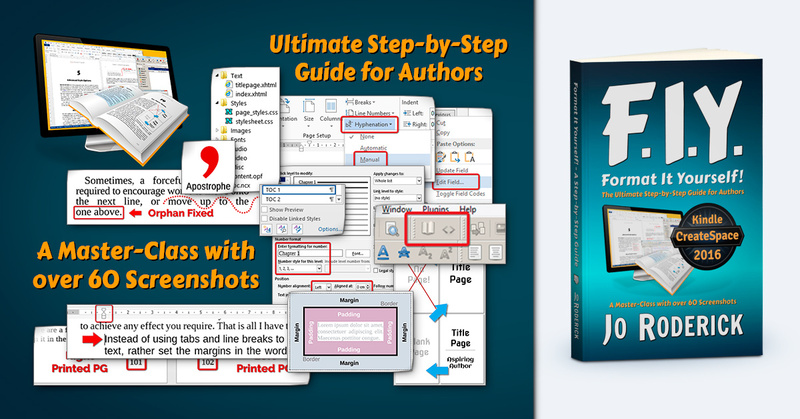 1.1 The Ultimate Step-by-Step Guide for Authors. A Master-Class with over 60 Screenshots.